GSA is situated on the University of Surrey’s beautiful campus, offering students state-of-the-art purpose-built facilities within a lively university environment, just ten minutes’ walk from Guildford town centre and only 34 minutes from central London by train. Students at GSA have access to purpose-built studios and tutorial rooms within the GSA building and across the University campus. The fully-equipped studio spaces are fitted with sprung floors and ballet bars. Students will have the opportunity to train and practice in the 220 seat Bellairs Theatre, 80 seat Rex Doyle Studio and 80 seat PATS building. 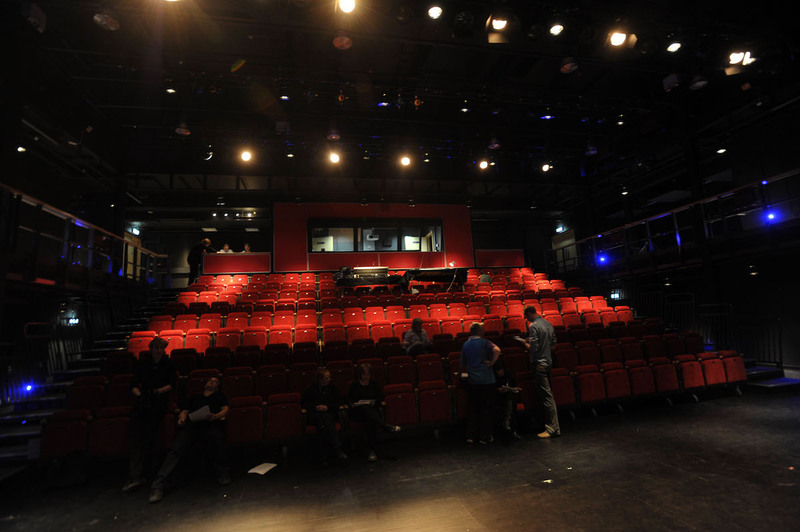 Productions are predominantly staged in the Ivy Arts Centre on campus. The Ivy houses a 200-seat theatre and 50-seat studio space, as well as dance studios and rehearsal rooms. GSA productions are also presented in theatres and venues in and around Guildford and London. These venues include the renowned Yvonne Arnaud Theatre, The Mill Studio and The Electric Theatre in Guildford, and various venues in London’s West End including the Shaftesbury Theatre, Leicester Square Theatre and the Soho Theatre. Production facilities at GSA include a state-of-the-art 100Gb optical fibre network fitted throughout the Ivy Arts Centre; a fully automated flying system in the Bellairs Theatre; cutting-edge robotic cameras and professional-grade video production equipment for live streaming; bespoke GDS prompt desk and wireless comms; high-end computer workstations (on both Mac OS & Windows) with dedicated lighting, Sound and Video software packages; 3D printing facilities and a fully-equipped construction workshop and wardrobe wardrobe department with extensive stock of period and modern costumes. 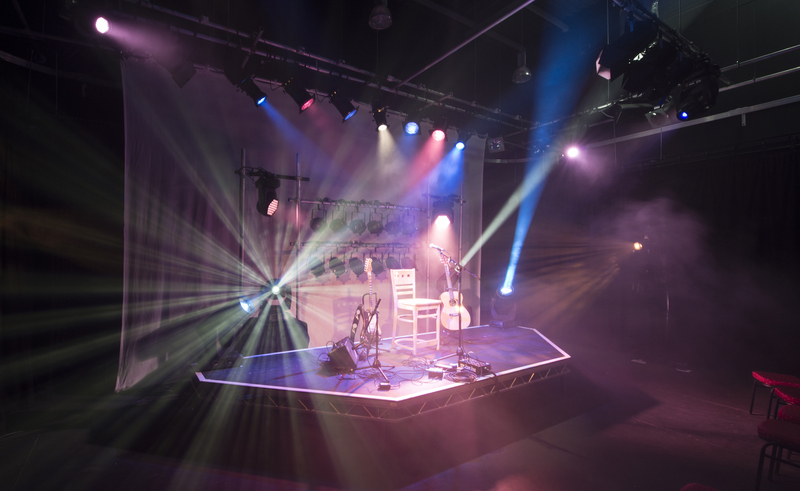 The GSA sound and lighting departments emulates professional environments in terms of production values. Our sound stock includes: Yamaha and Digico sound desks; a wide range of PA including, Inspired Audio, D&B, JBL, and Meyer; Sennheiser and Shure radio equipment; industry standard microphones including DPAs for our musical theatre shows, and a large range of Shure, Neumann, AKG and DPA instrument microphones. Lighting equipment includes department have ETC and MA consoles on site, as well as close links to other console brands to explore and learn. We have a range of in house stock and also hire a wide variety of intelligent lighting fixtures on a show by show basis. 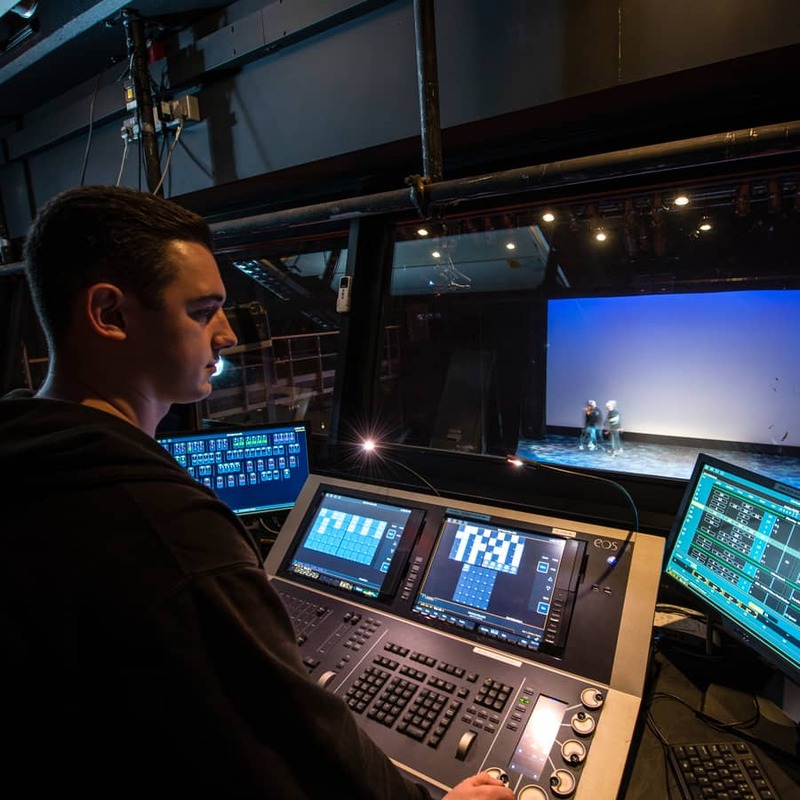 Professional lighting and sound designers regularly design our larger shows alongside student teams. GSA is situated on the University of Surrey Stag Hill campus which is home to a wide range of amenities, including a laundrette, a post office, a bank, a bookshop, a health centre and our recently refurbished convenience store, SimplyFresh. There’s also a large supermarket nearby, and a weekly food market is held on the Stag Hill campus. As part of the University of Surrey, you gain access to all that the University has to offer. Visit the University of Surrey website to discover more about accommodation, life at Surrey and all that the University has to offer.